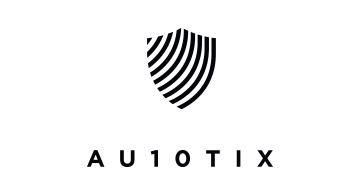 AU10TIX is the forerunner of 2nd generation ID authentication and onboarding automation. AU10TIX technology powers global majors such as Paypal, Goolge, Visa, BBVA bank, Payoneer, eToro, Coinbase and others. AU10TIX 2nd generation technology enables 100% automated forensic-level ID authentication, multi-modal biometric face-matching, POA/POR processing and data verification and KYC screening. Unlike 1st generation solutions, AU10TIX 2nd generation technology features forensic-level forgery, counterfeiting and collateral risk detection; up to +300% better conversion rates of borderline quality images; multi-lingual document support, and rapid-response actionable exception reporting – all at average processing speed of 8 seconds or less. AU10TIX automation has demonstrated ability to improve customer conversion success rates, increase effective traffic handling capacity, reduce operating costs and boost operating efficiency – all while enhancing fraud prevention and improving robustness of regulatory KYC compliance. AU10TIX is a subsidiary of ICTS International N.V, one of the world's leading airport security companies for over 30 years.